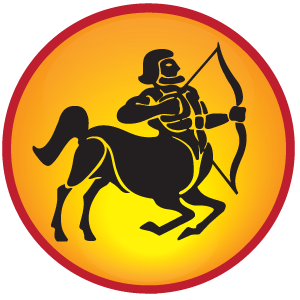 Sagittarius Sign people can read here Sagittarius HOROSCOPE 2015, Sagittarius Astrology, Future Prediction with 2015 Sagittarius Horoscope. Health, Love, Career, Financial Horoscope 2015 of Sagittarius. Meaning: If Moon is in Sagittarius sign during the birth then a person would be active in arts, powerful, soft, clever speech and rich. You will make new plans in this year but as per your nature you will try to finish them in hurry. But you have to keep patience. Saturn is in your business place. This is the first phase of Saturn’s Sade sati. You will see late in everything. Jupiter is in good place but it is not to be in 8th place. You should take care till July 2015. Rahu is in your business place while Ketu in happiness place. These both planets will affect you. Saturn is in Scorpio sign which is in business place. You have to take care during this phase else you may have loss. You can chant Hanuman Chalisa. You will get rid of from the problems. Rahu is in tenth place so you have take care. Do not give loans to others. There is no change in health during this year. You have to take care when season changes as you may have seasonal disease. Mars will increase your anger so you should avoid fast driving. This year will be good for love relationships and marriage life. You have friendly nature so you listen everyone. You do not like tension in love relationships. You can go further in love relationships and marriage life. Mars is the owner of carrier and education. This year would be better compared to last year. Ketu is away from your sign. People who are doing masters they may have to face some problems. Remedy For Sagittarius 2015: Feed birds every day. Serve cow with grass. Eat leafs of basil. Go lord Shiva temple every day and offer water, flower and rice on Shivalinga. Eat sweet before going outside. Chant Hanuman Chalisa.